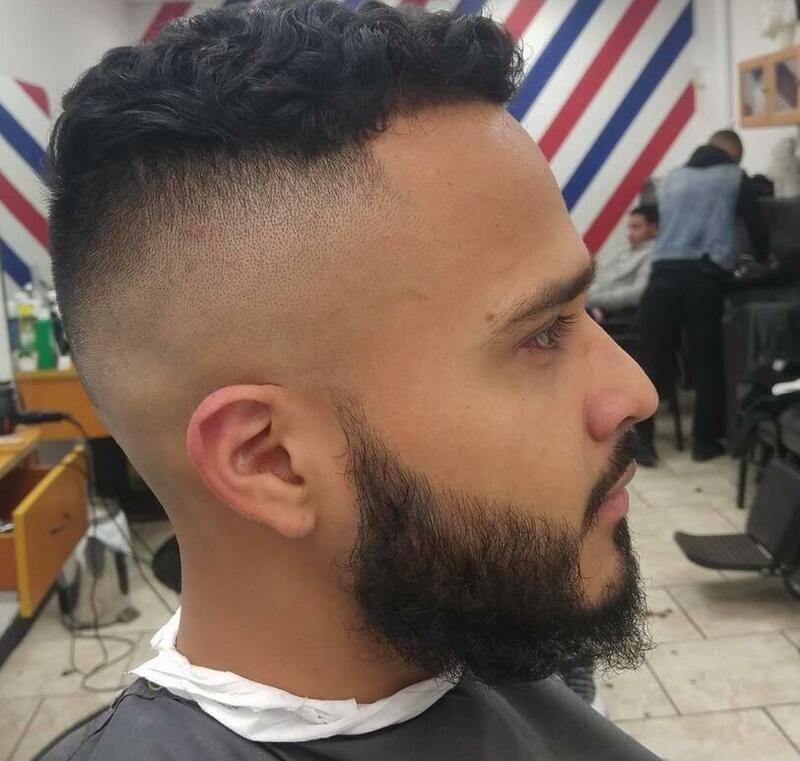 The high and tight haircut is also known as a military high and tight.This hairstyle has been widely seen for men in the military,and now more civilians have begun to try this hairstyle. This is a classic but easy hairstyle for men to get and maintain. You will have a very short cut on the sides with a long patch of hair left on the top of the head. And the back has shorter hair than on top level. 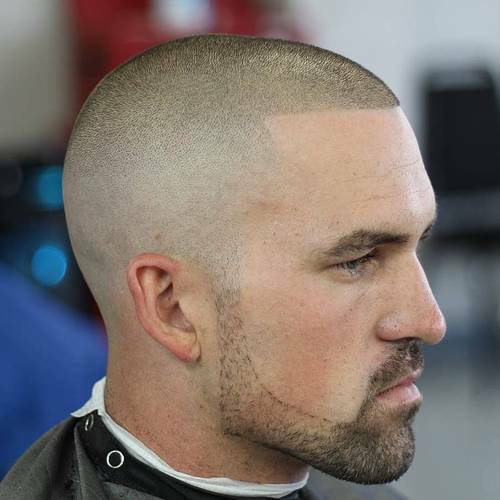 Compared to the “short-sleeved, long-tops” hairstyle, the high and tight haircut offers many different variations. This is not a flat out buzz cut as it has more structure. This hairstyle works best for men who have a nicely-shaped head and thinning hair as it reduce the impact of thinner hair. Moreover,this haircut is also suitable for curly and black hair as it keep texture on top. We have gathered the most awesome high and tight haircuts that might inspire you to show your true style. Whichever style you select, you can rock the stage for sure. 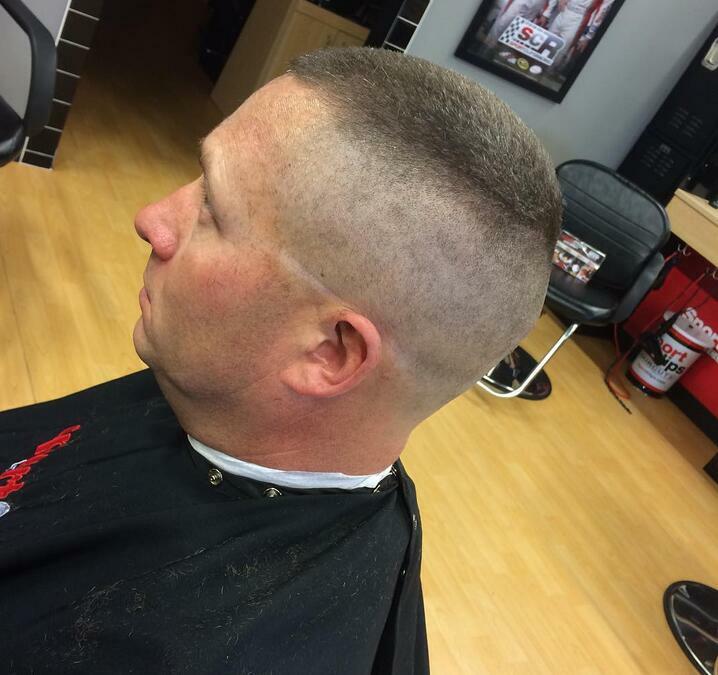 This haircut is shaved on both sides while the top level has significant amount of hair. By simply brushing the hair upwards, you can make spikes as you apply hair wax, gel or spray. The spikes are also formed flat and look neat. 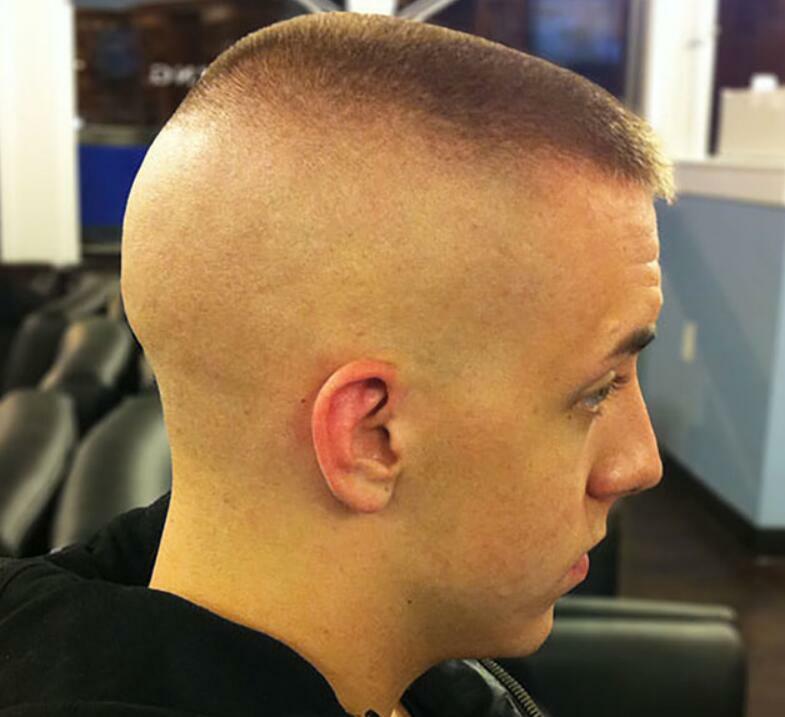 This military haircut makes you look clean and fresh all the time and it can also make you feel more confident. 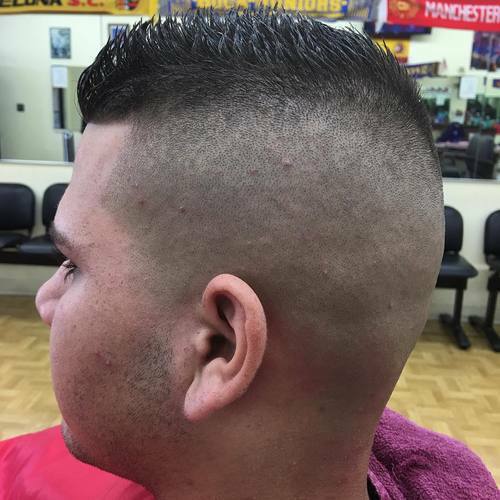 This hair and tight haircut has distinct lines that divide the completely shaved sides from the hair in the middle or top. The back is also shaved completely, leaving an inverted triangle style in the middle. The top hair is then combed together to one side which makes it look like semi-formal and stylish. This hairstyle is also easy to maintain as it is already styled and you only need to comb it to the side from time to time. 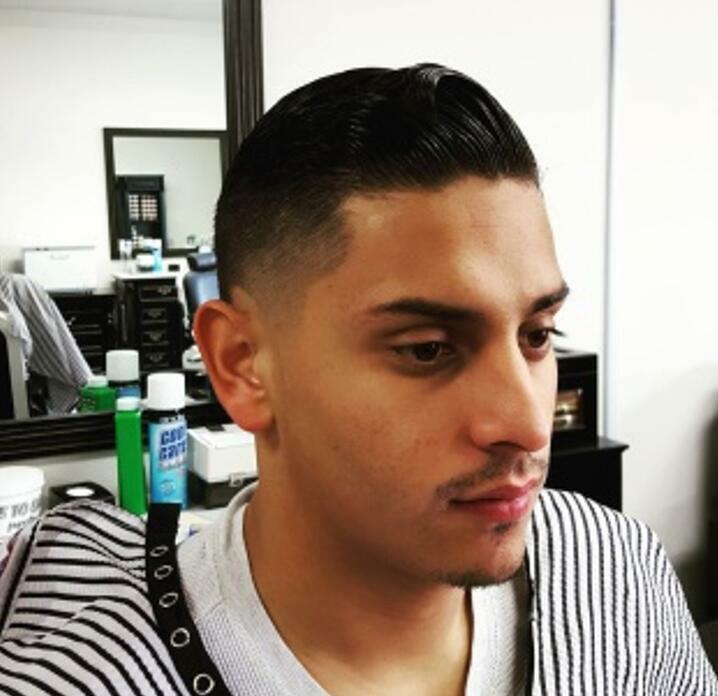 This classic sleek high and tight haircut simply highlights your natural appearance. Many guys would do anything to get this style. Both sides are faded, keeping the ears completely free. The top level has medium length hair that is combed backwards. Some strands of hair are also raised a bit which makes you look cool and fresh. This style is great for almost all places and events. You might think than having very short hair has no hopes for styling. However, there are many ways to style your short hair just like the asymmetrical crop high and tight. It has a military look as both sides are faded. There is less amount of hair on top that is combed to one side. This hairstyle is one of the fresh looking styles there is. It does not just look neat but it is actually trendy. 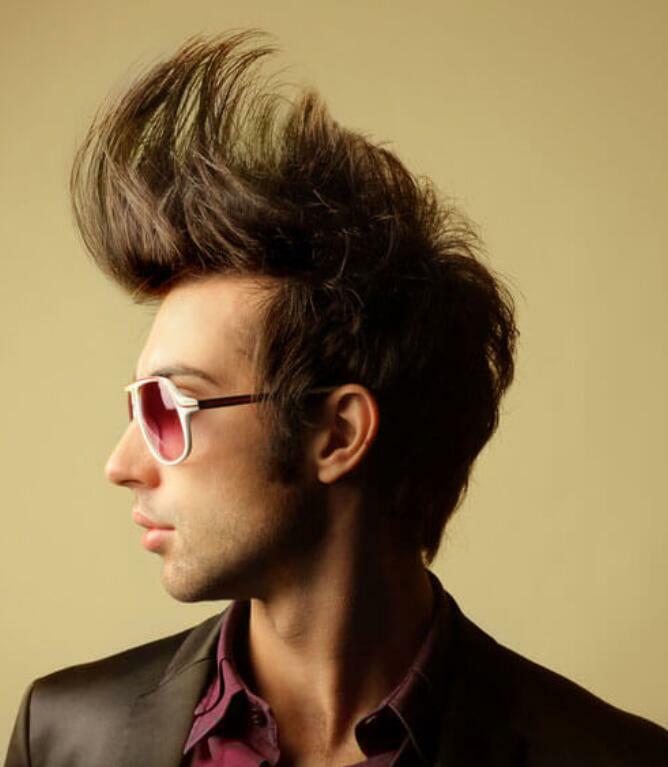 The cliff hairstyle gives you three awesome layers that can add more depth to your hair. 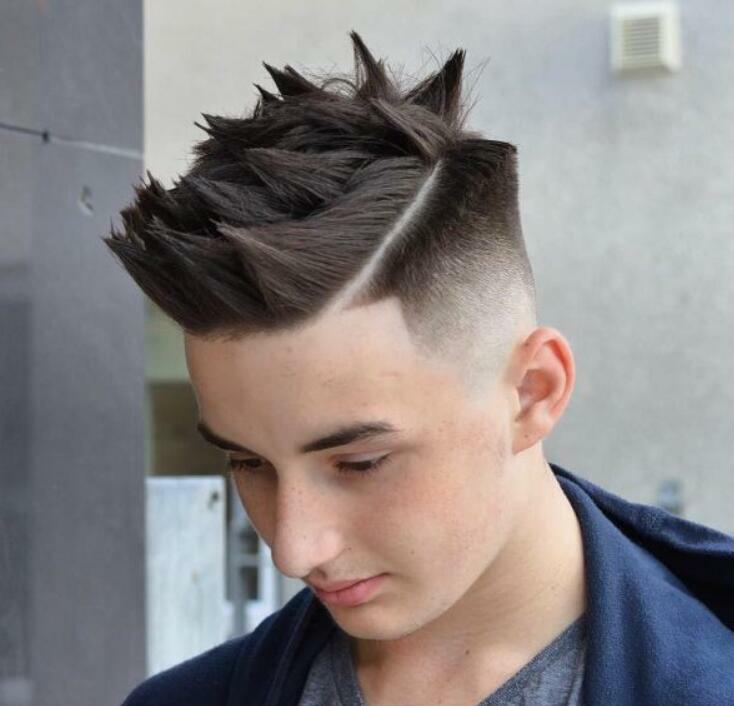 Most guys also love this hairstyle because of the cliff style on top. Both sides are faded as well as the nape area and you can see two layers on those sides. Then, the top level has significant amount of thick hair which is combed backwards and tilting to keep it high and tight. 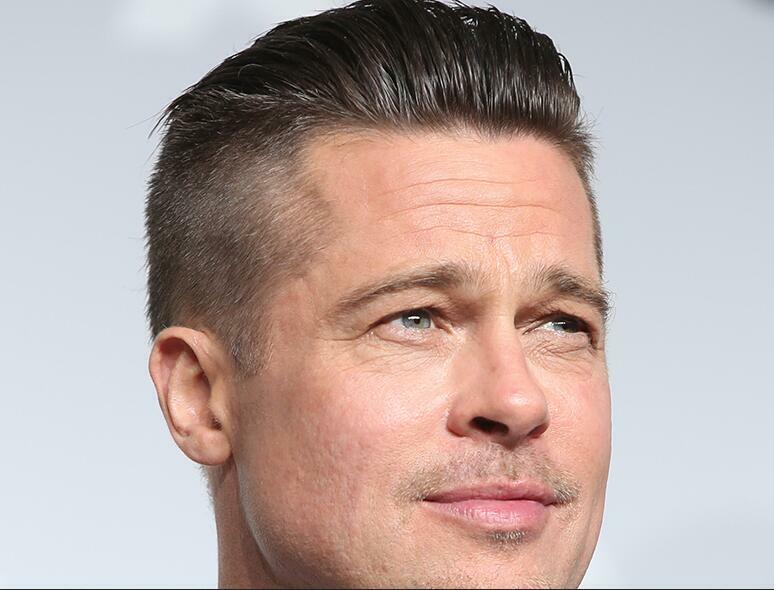 For men with receding hairline, this high and tight style might give you some inspiration. 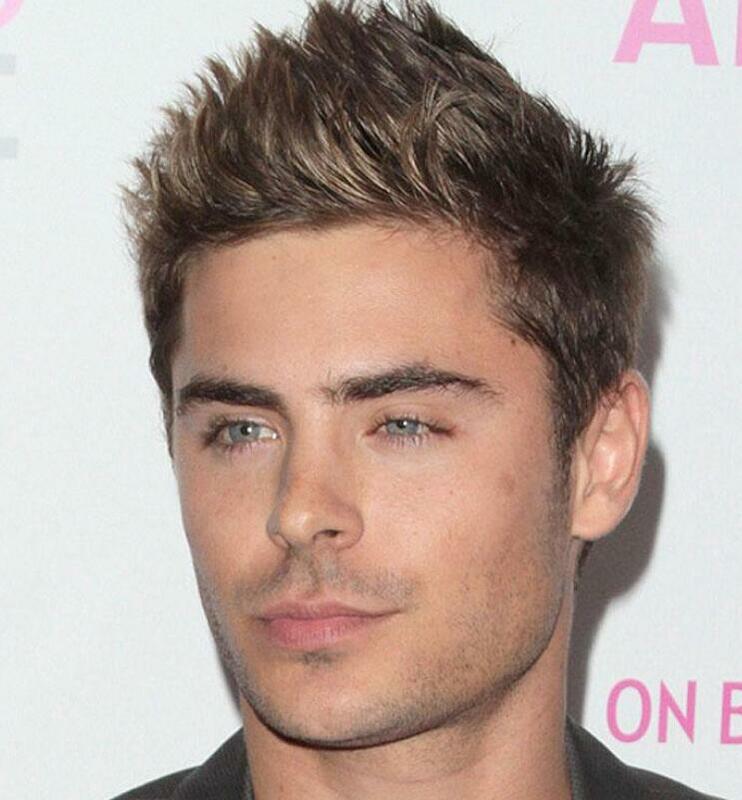 Short haircuts are always better for men with receding hairline or thinning hair. Both sides are shaved from the points of the hairline so that it is not visible. Only the middle part remains and cut shorter. It is also easy to manage and there is no need to comb or fix the hair all the time. For a little Mohawk hairstyle, you might like this one. 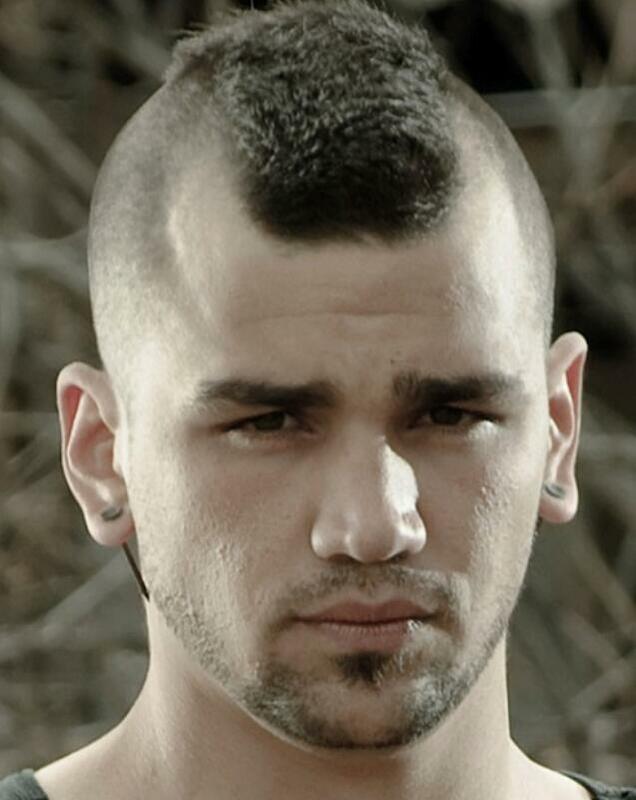 There are many Mohawk styles and the combination of it and high and tight is definitely great. Both sides are shaved completely with fading effect going to the top. The top level is combed flat with small wave that makes spikes. It looks Mohawk from the front but the top is not so high. 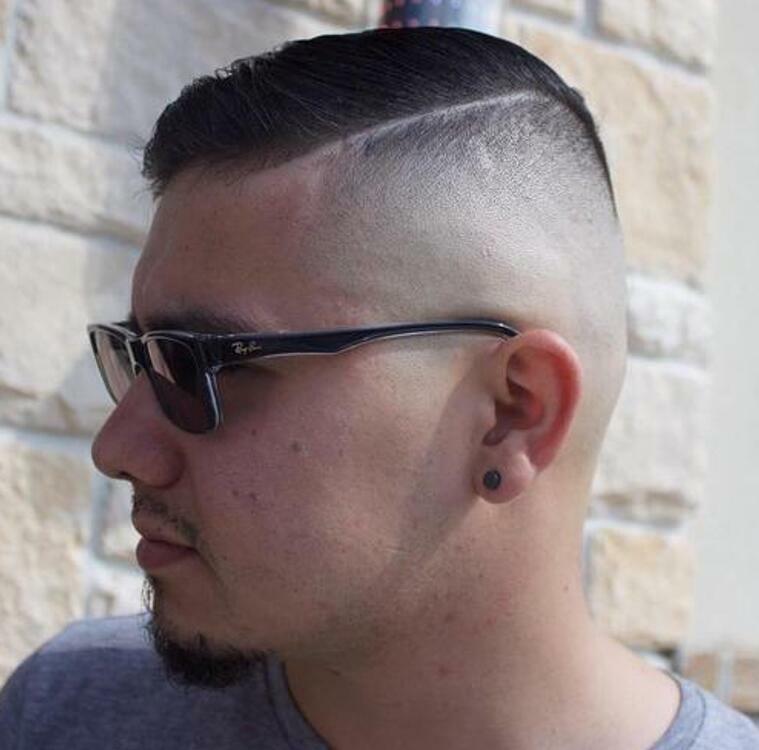 For very short high and tight, this haircut is very manageable and you can wear it to almost anywhere, formal event, party with friends and special occasions. It is also great for office setting. 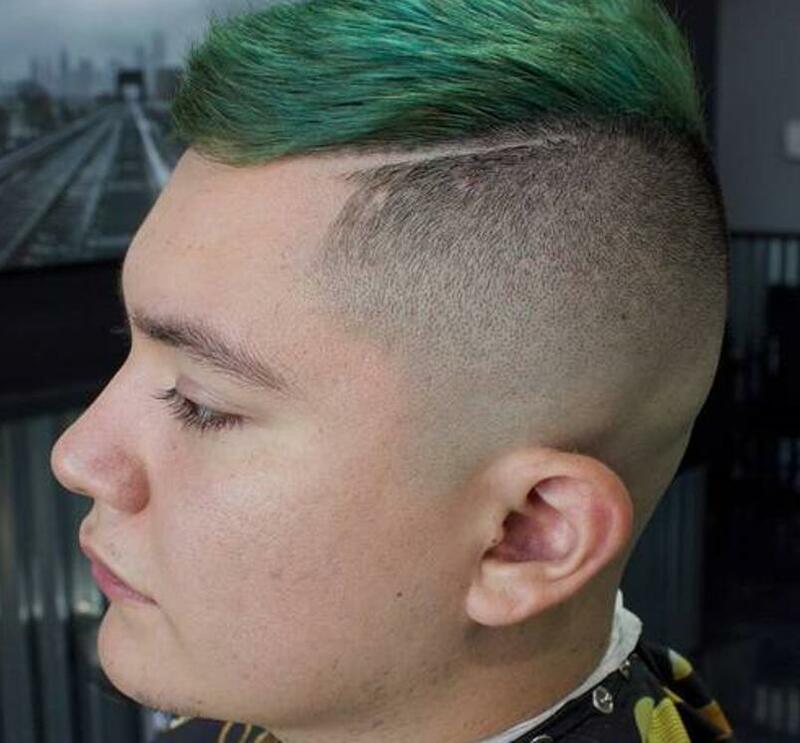 The sides and the back are completely shaved while making faded effects toward the top. It also has square shape on the forehead area. This style makes you feel fresh all the time. 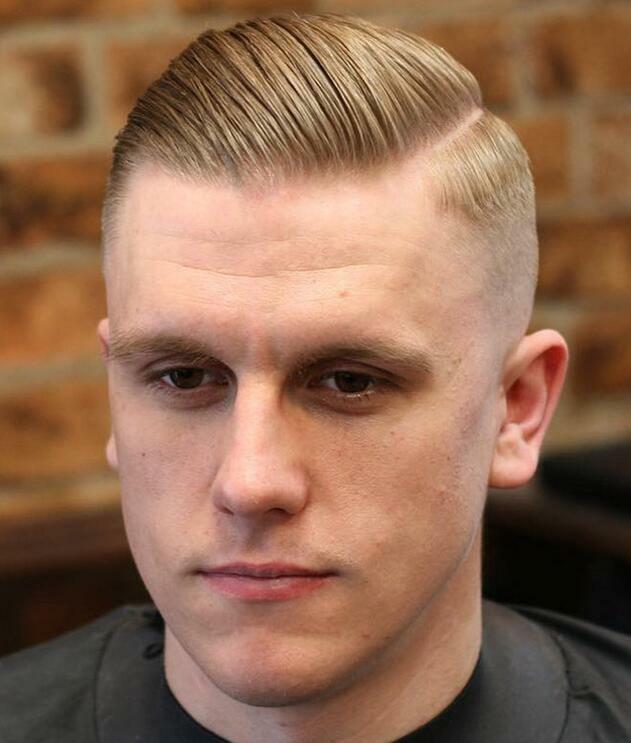 Another great high and tight haircut for men with receding hairline is this one. The hairline can be blurred with this hairstyle with faded effect on both sides of the head. The top level has given a trim so you can style your bangs higher going to the back. This style looks cool and grand. It can definitely catch the attention of the ladies. 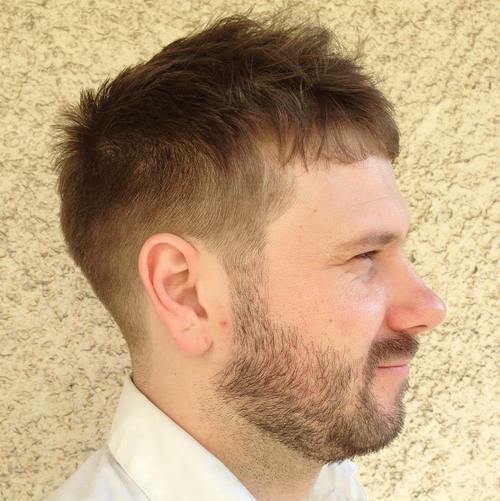 Spiky effect gives more edge to any type of hairstyle whether the cut is long or short. This spiky top high and cut might also interest you. Both sides as well as the back are shaved completely to achieve fresh and clean feeling. The top has small amount of hair and styled into spikes. If you want to keep your hair short but you also like more edge, you can try this one out! 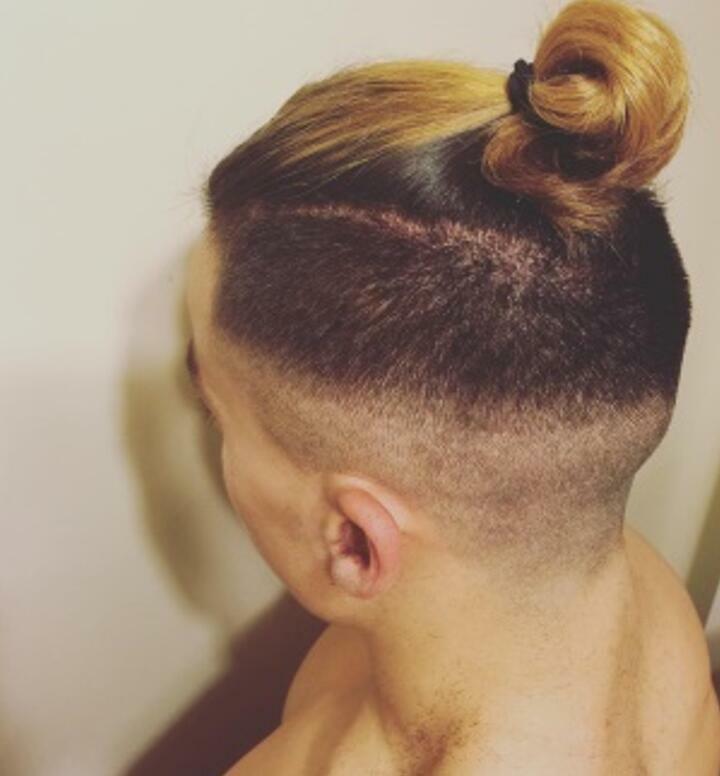 This hairstyle has both sides shaved completely as well as the back area. The top has significant amount of hair and curled. 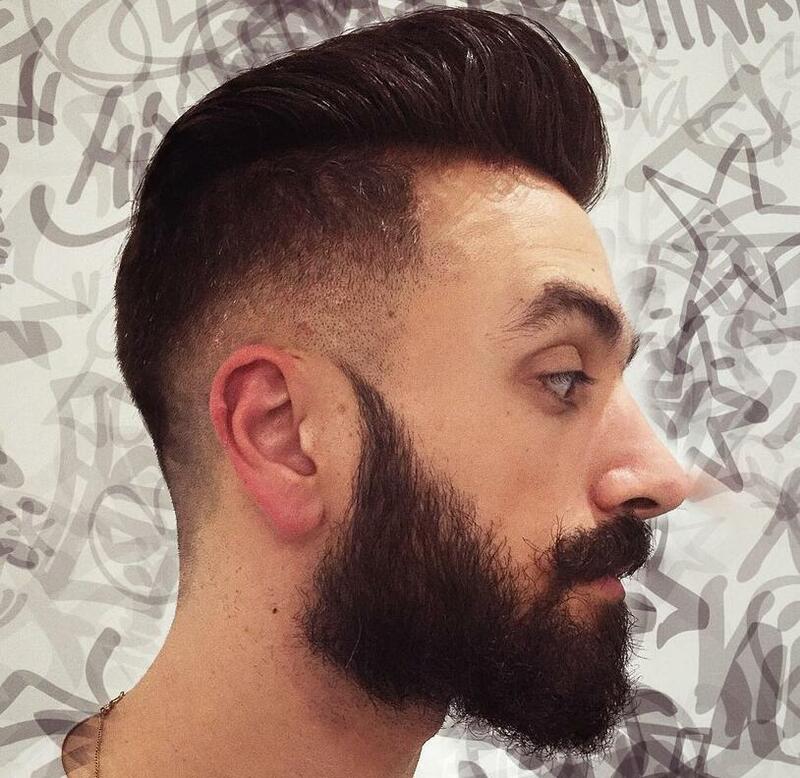 Men with natural curls can easily achieve this style as they can skip the curling step. The curls look so stylish and form smooth waves. This style is also perfect for attending formal events and special occasions. Wearing this style can make you the apple of the eye. 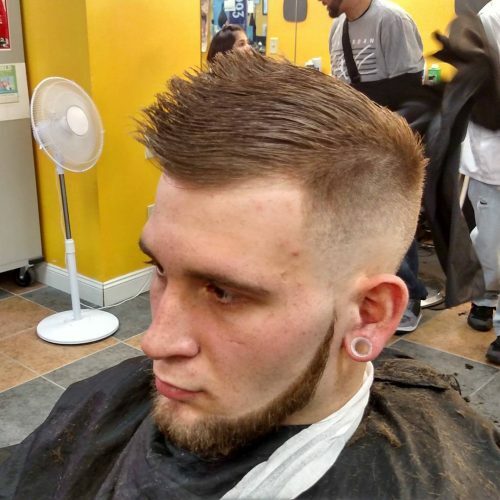 This high and tight haircut has no fade effects and it also look interesting. Only the crown area has short hair while the rest are completely shaved for clean and fresh feeling. It still has the military touch because of the hair on top which is combed upwards and brought together to make a point. 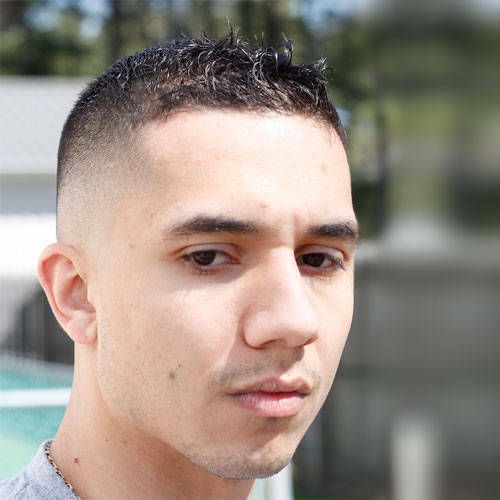 This hairstyle is one of the cool high and tight haircuts that you can try. It also has three layers as the bottom part of both sides and the back are shaved and the middle part has a bit longer hair. The difference of the layers is visible. The top level has the longest hair and can be tied into a bun. 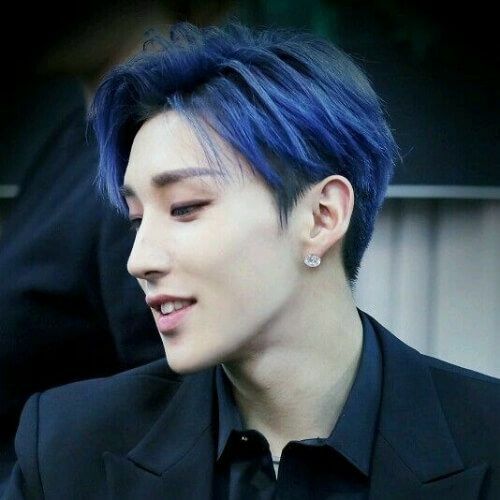 It can also look better if bleach or other hair color is applied. 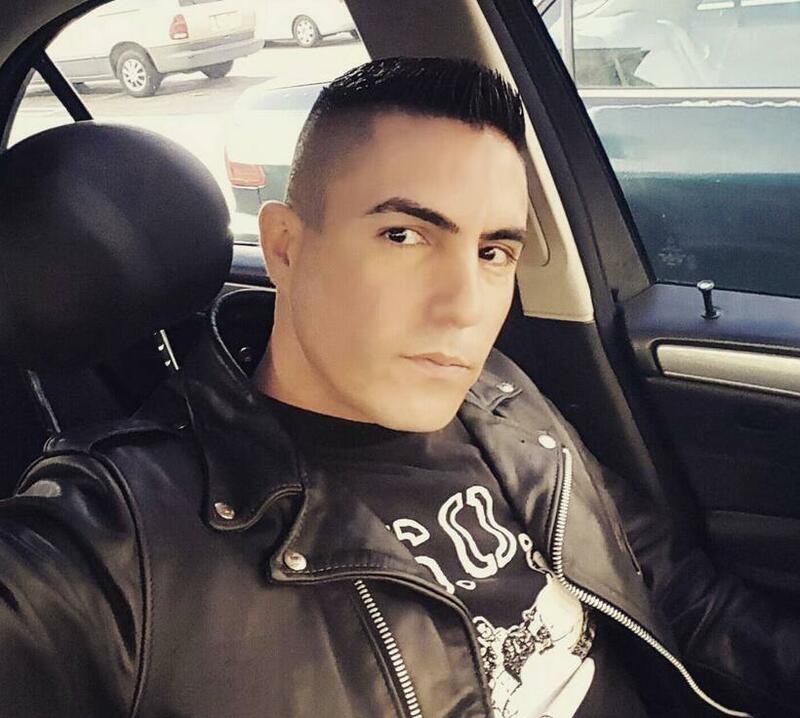 Most high and tight haircuts are kept short. This hairstyle also has very short length with only minimum hair on the crown. Both sides have faded effect and the bottom part is completely shaved. The blending is very appealing to the eyes. The top level has short hair which does not require too much effort to keep. With this hairstyle, it is impossible to have bad hair day. 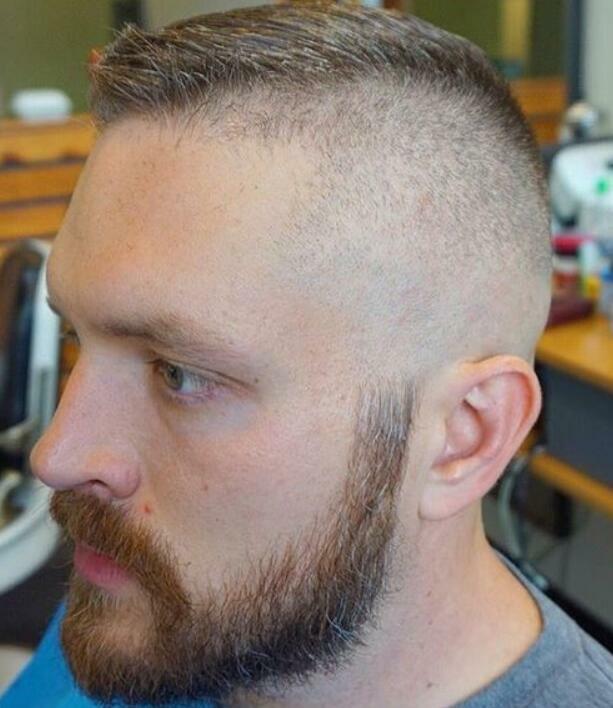 This is one of the most awesome high and tight haircuts that you can try. It has a visible line that separates the hair on top from both sides of the hair. Both sides are trimmed very short which create faded effects. It also looks neat even if the top has significant amount of hair. The hair on top is styled to create spikes. This hairstyle looks like a breeze so if you want to attend a party looking like a punk star, this might be the one that you are looking for. You can always choose your preferred color. Both sides are shaved with faded effect going upwards. A line is also visible to separate the long hair from the sides. The hair on top is then combed towards the front to create a breeze effect. 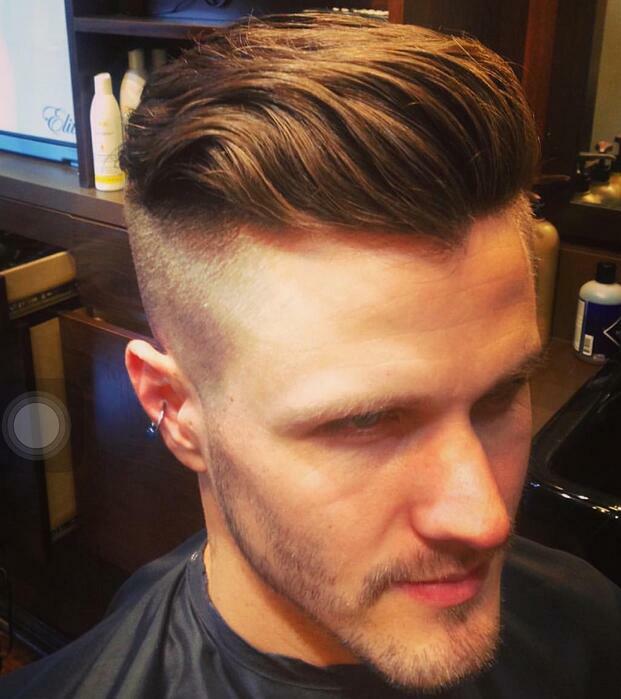 This style is one of the men’s favorite high and tight haircuts. Both sides are trimmed short and a little faded on the bottom part. The hair on top is swept to one side which creates a visible line on the other side. The styling on top looks like a big soft wave and can be easily done with a comb or fingers. If you want to add a lot of edge on your hairstyle, you will want to style your hair with spikes. 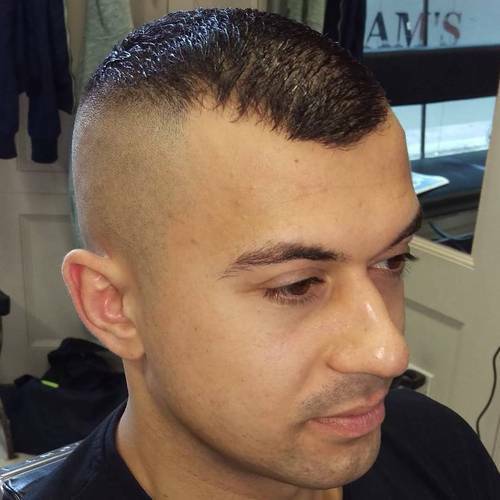 This high and tight haircut has huge spikes on the crown area which can be achieved with hair wax, gel or spray. 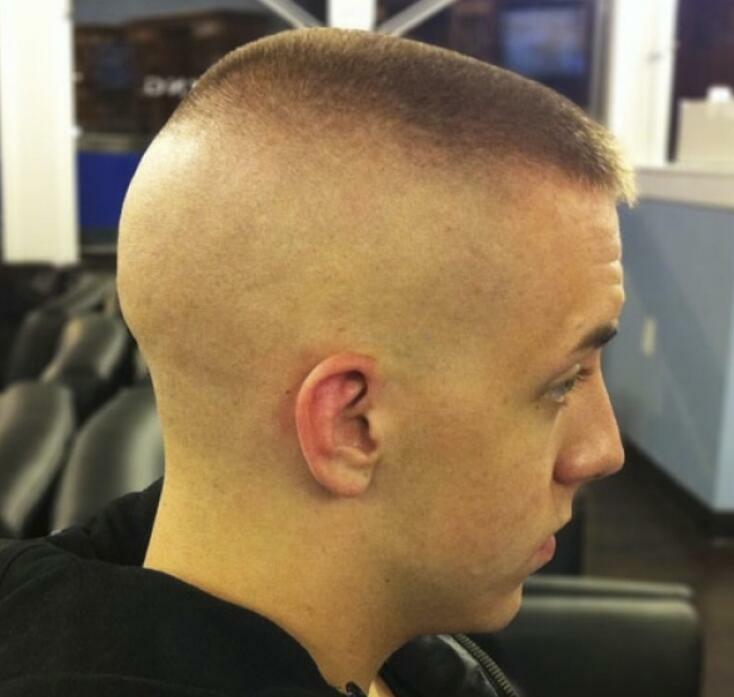 The sides as well as the back are shaved completely and only the top has hair. This hairstyle is perfect for attending parties and outdoor activities. 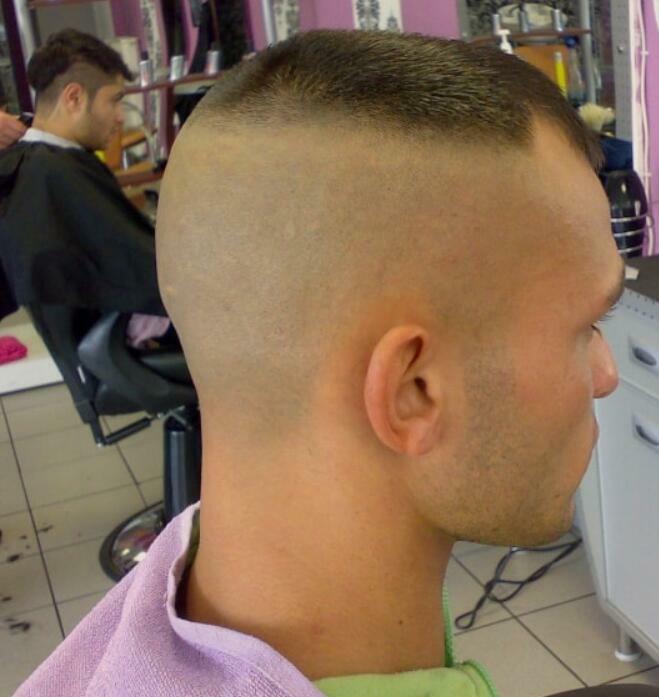 This military haircut can also transform you into looking like a badass. The top hair is trimmed short and flat so there is no need to use any hair product to style your hair. The rest of the parts are shaved completely so you can feel more cool and fresh. If you want to have a daring look, this hairstyle might be the one that you are looking for. The top has medium size length so you can make a pointing cliff but it also looks soft at the same time. All sides are done in details so you can rock and look daring in front of everyone. 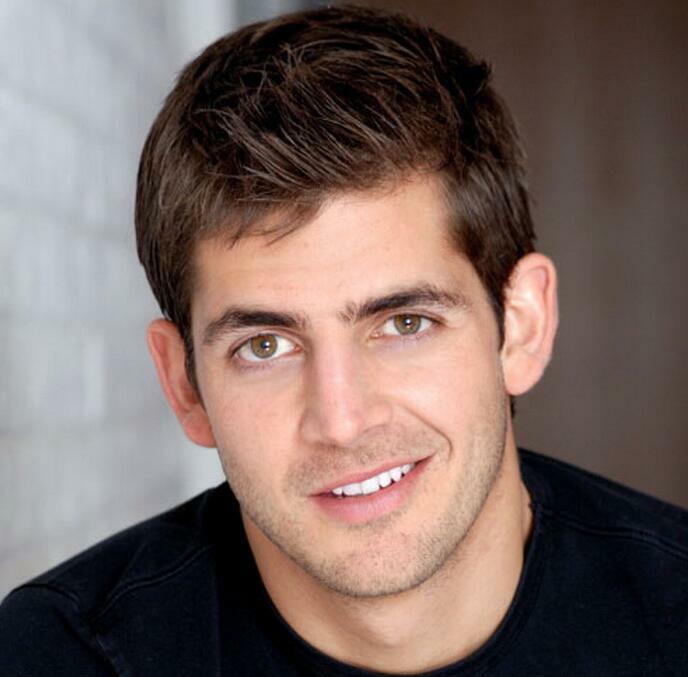 This hairstyle has both sides cleaned completely while the top area has significant amount of hair. The bangs is also combed backwards which appears to be thicker and richer. The hair is like huge waves going backwards and becomes flat towards the back. This hairstyle is great for any hair color so you can always choose your preferred hair dye. This hairstyle keeps the military look. The hair is trimmed short while both sides are shaved with faded effect. The top is simply combed to one side and the square line is visible on the forehead. It also looks neat, fresh and makes you look so innocent yet brave. This is another traditional style that keeps the military appearance. 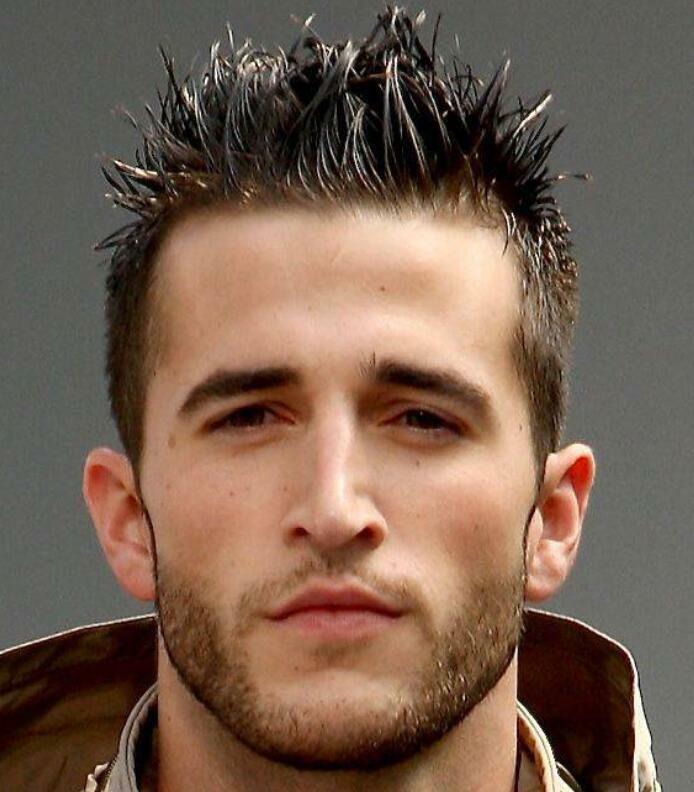 Men who were or are in the military would definitely go for this hairstyle. Even those who are outside the military enjoy having this hairstyle as it does not require too much maintenance. This is the kind of hairstyle that is ready to go anytime and anywhere. 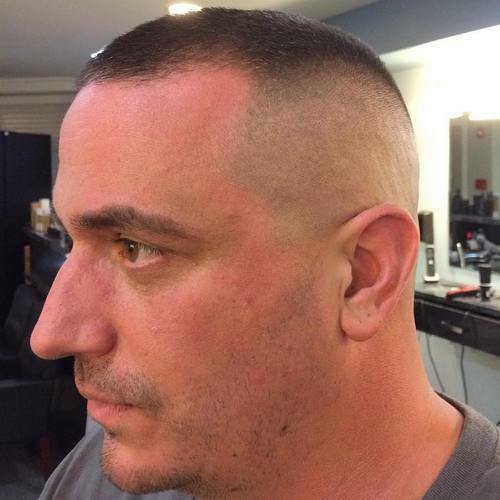 This high and tight haircut is probably breaking the rules as almost all sides including the top are shaved to the scalp. Although the crown area has very, very short hair, it is still too short for military style. If you do not want to manage your hair and be ready all the time, this hairstyle might also interest you. Another hairstyle that men would love to have is the Johnny Bravo style. It looks very manly with the smooth wave on top. Both sides are shaved and the bottom parts are cleared while the top is long. The hair on the crown is brushed towards the front to make a smooth and big wave just like the style of Johnny Bravo. 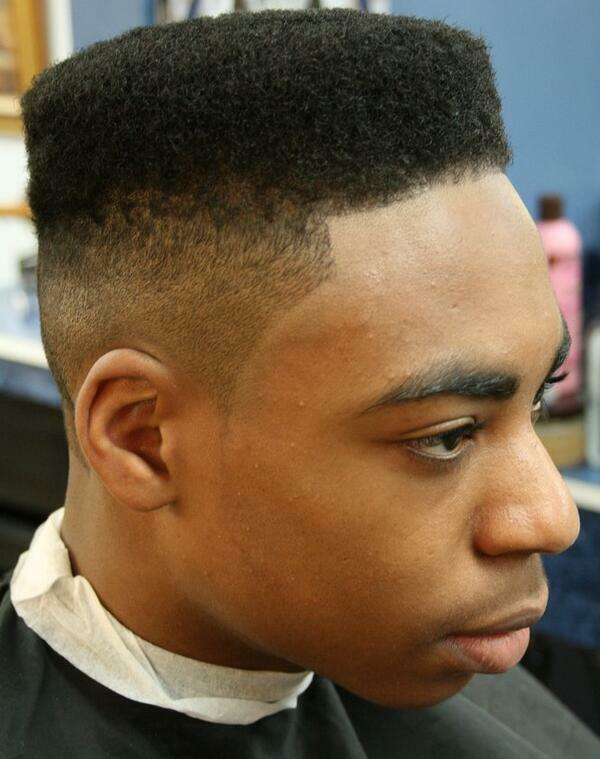 There will be no regrets if you would love to have this classic smart style high and tight. It gives the best impression with the both shaved sides and thick hair in the top middle. This hairstyle looks not only smart but also awesome, clean and fresh. This is also great not only for office setting but also for outdoors and parties. Everyone would like to look cool and this hairstyle can do a lot of help. This hairstyle can show off not only your facial features but also your long top hair. The hair on top is combed backwards and creates a super cool appearance. If you also like Mohawk style, this might interest you. It has soft Mohawk as both sides are cleared completely and only the crown area has hair. There is no need to add spikes as it looks great enough to be awesome. This hairstyle is perfect for going to gyms. 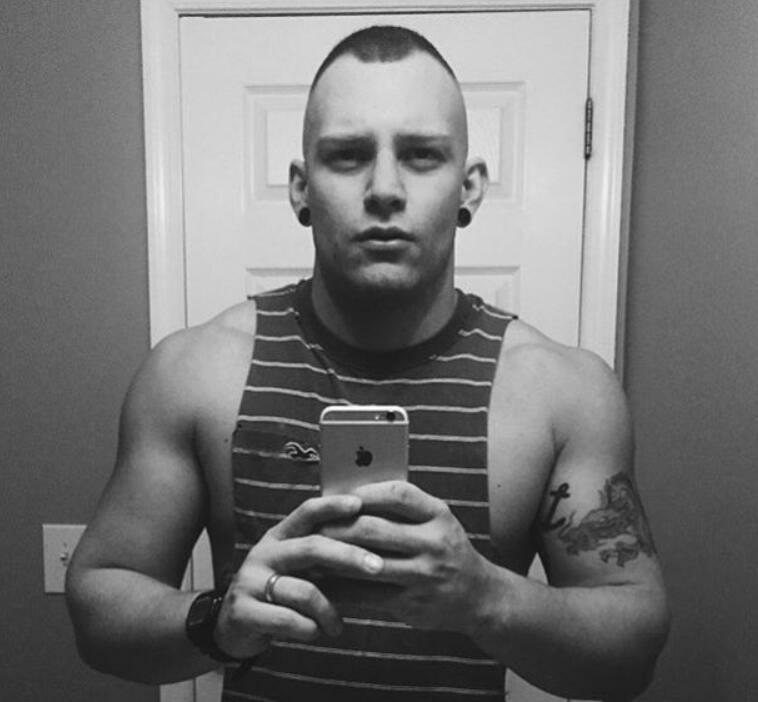 With shaved sides and short top hair, you can focus mainly on your training. There is also need to manage your hair which saves you a lot of time. If you want to have a royalty feeling, this hairstyle can give you a small crown that you can show off anywhere you go. The hair on top is brought together to make a point while the sides and the back are completely shaved. You can also manage it easily with your fingers.